The national capital's ruling Aam Aadmi Party on Sunday again demanded the sacking of union Finance Minister Arun Jaitley after accusing him of corruption in the city's cricket board.Immediately after BJP MP Kirti Azad revealed what he said were details of financial wrongdoing in the Delhi and District Cricket Association (DDCA), the Aam Aadmi Party (AAP) urged Prime Minister Narendra Modi to dismiss Jaitley.Jaitley, who headed the DDCA for years, has denied the accusations against him, and called Azad "a Trojan Horse". 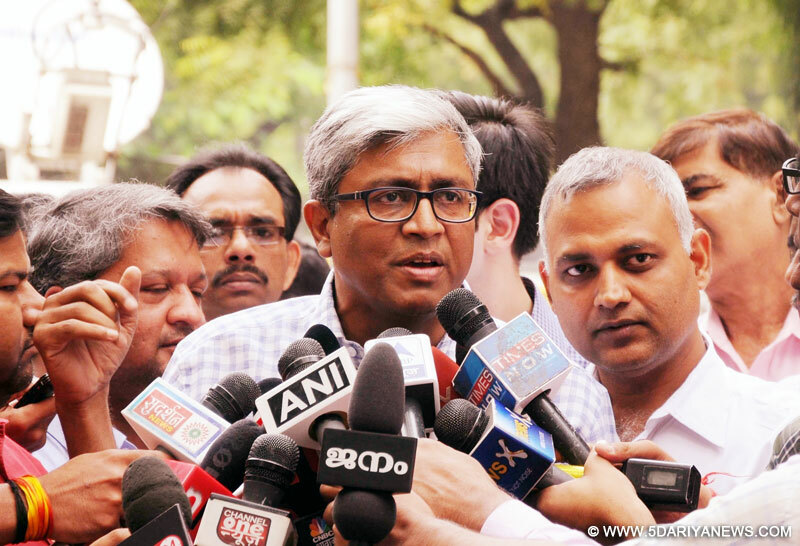 "Jaitley is the Suresh Kalmadi of the BJP," AAP leader Ashutosh told the media, referring to the former Congress MP who was linked to the alleged corruption in the 2010 Commonwealth Games. "The DDCA scam is the commonwealth of cricket. The finance minister is constantly lying. He was caught red-handed," he said.Ashutosh said that in a video made public by Kirti Azad, it is shown that Azad had apprised Jaitley about corruption in the DDCA to which Jaitley had said: "If my (Jaitley's) office bearers are facing criminal cases, I am bound to defend them." "He (Jaitley) should be immediately sacked and a case should be registered against him," Ashutosh added.Another AAP leader, Kumar Vishwas, wanted to know if Modi would continue to retain Jaitley in his cabinet even after knowing the details of the alleged corruption charges against him.Vishwas said Delhi Chief Minister Arvind Kejriwal was the first person in the government "who tried to expose the corruption in DDCA".This was the only reason the CBI raided Kejriwal's office on December 15 in the name of targeting his principal secretary Rajendra Kumar, he added.He said, "Jaitley was lying that he had no role in the corruption in DDCA." The Central Bureau of Investigation (CBI) wanted to look into the file that contained the report of a three-member committee which - on Kejriwal's orders - probed the financial irregularities in the working of DDCA.The CBI has denied searching Kejriwal's office. "Kirti Azad has made it clear that Jaitley is the head of the (DDCA) scam. He should be removed," said Sanjay Singh, another AAP leader.